All full range for plastic, brass, stainless steel. Fast delivering & money garantee. Brass push in fittings get more and more popular in the automation industry. It is more durable and higher pressure resistance than plastic push in fittings. In the market, there is two structure for brass fittings. Different structure lead to different features. Today let’s help you know this difference. 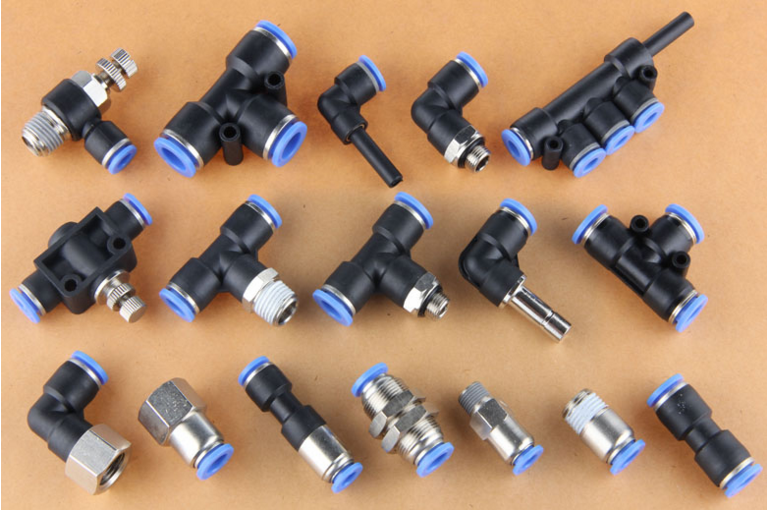 XHnotion offers plastic push in fittings , which is also called pneumatic fittings for it usually being used in pneumatic systems. It is made from Acetal copolymer, with a stainless steel collect design that ensures high quality clamping with various types of tube such as nylon tubes, polyethylene tubes and polyurethane tubes. It can be easily connected or disconnected by one touch and is used for a wide variety of models to meet all demands. And its oval sleeve also makes it possible to apply and remove the tube easily in confined space. Meanwhile, over 50 different models in imperial; metric sizes and hybrid are also available. We are glad to update a new product for you – plastic push in fittings for water and air. It can be used in fluid of water, air, gas and without rust. And it can be safely rotated 360°without scratch for the internal lock claw is rotatable. It can replace the JG and Legris. 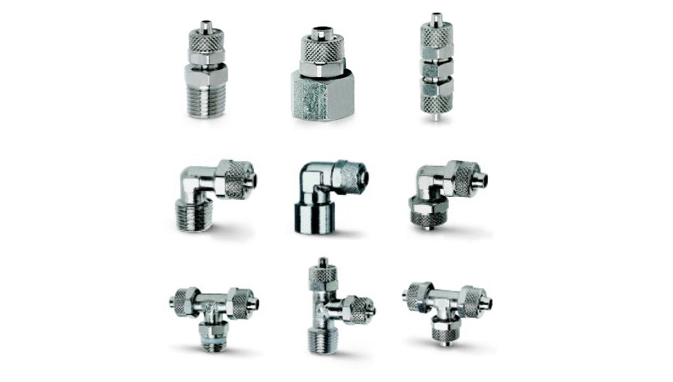 Stainless steel (SS316L)push in fittings are made to be non corrosive and are highly resistant to aggressive environments, as well as corrosive fluids. These push in fittings ensure easy and fast connection, and removal of a tube easily. The rapid screw fittings can be used with PU tubes, PTFE tube, PE tubes and is very convenient to use on different components. A locking nut is provided and can be tightened both manually and with a spanner. The special shape of the guiding cone ensures that the tube can not be accidentally cut. They are good for high temperature and high pressure. Compression fittings can be used for high pressure environment. Its fluid can be water, air, oil, diesel, and other fluid. It is widely used due to its ferrule to provide leak-tight seals. The compression fittings do not require any flaring, soldering or any other tubing preparation. It can be used with nylon tubes, copper tube, etc. XHnotion’s brass connector is universally used for all kinds of pneumatic systems and water systems. They are available with various thread sizes of BSPT, BSPP, NPT and Metric thread. Designed and developed in adherence to the industrial restrict standards, these brass connectors are of high quality and good performance. Pneumatic muffler, pneumatic silencer applied to exhausted port of machine in pneumatic, oil pressure and hydraulic systems for reducing noise and removing dust and water. It can be used in damp places without rust for long lifespan. USA series quick coupler’s target market is in North America and South America. It is used for air tools and air compressors. XHnotion offers USA series industrial coupler (M style), ARO type quick coupler(A style), automotive type coupler (T style). Meanwhile, we have universal coupling to meet three above coupling. It has various surface coating for your choice, such as chrome plated, nickel plated and copper color etc.